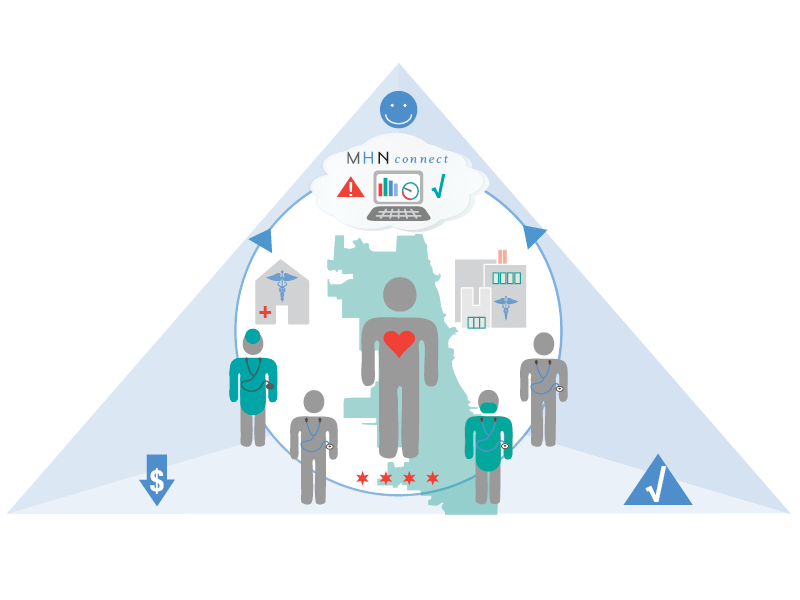 We are united in our vision to improve healthcare delivery for vulnerable populations – achieving what is often referred to as the “Triple Aim” of improved quality of care, an improved patient experience and reduced medical costs. Our hope is to be a model for practice transformation benefiting patients in the safety net who are much more vulnerable and in greater need of quality care. Effective care management is key to achieving this goal and starts at the medical home. Our innovative technology is designed to support coordinated care management among our hospitals and medical home sites to enable better care, outcomes and relationships. Through our secure platform we can access historical data, connect and exchange real-time facility alerts, and capture most patient activity as it happens. This technology allows us to expand the medical home beyond the four walls of the practice – supporting our patient-centered model of care by meeting patients where they are.